A combination of individually-managed and communally-tended beds comprise this large garden located in Crescent City. The garden is managed by the Del Norte Open Door Community Health Center. Regular work days and educational events like workshops happen at the garden throughout the season. To get a plot, get involved, or learn more please contact (707) 465-1988 x 6116 or jmoran@opendoorhealth.com. Open Door Community Health Center coordinates this communal garden, located on Highway 299 in Willow Creek just west of the clinic. Regular volunteer workdays are starting on the first and third Wednesdays of the month from 9 a.m. to noon. Volunteering is a great way to learn gardening techniques while helping others. Produce goes to patients of the clinic. For more information or to get involved please contact garden@opendoorhealth.com or (707) 269-7073 ext. 3158 or 3179. More gardeners are welcome to get involved with Blue Lake Community Garden. This garden is communally-tended and produce is distributed to local residents through the Blue Lake Community Resource Center next door. The garden and Center are located on the corner of South Railroad Avenue and Greenfield Road behind City Hall. To get involved, stop by the Center or call (707) 668-4281. DocumentCenter/View/1404. For more information please call the Arcata Parks and Recreation division at (707) 822-7091 or email hstevens@cityofarcata.org. This communally-tended garden is located on F and 11th Streets in Arcata, and is also managed by Open Door Community Health Centers. Regular volunteer workdays happen on Fridays from 11 a.m. to 1 p.m. Stop by the garden, or for more information please contact garden@opendoorhealth.com or (707) 269-7073 ext. 3158 or 3179. There is space for more gardeners at Unity Community Garden. The garden is located in Eureka on the corner of 15th and California Streets and features raised beds, fruit trees, and berry bushes. The garden is managed with a combination of communally-tended and individually-managed plots. There is a small sliding scale fee to cover water and basic maintenance expenses. Gardeners are also required to help tend the communal space and to participate in meetings and on-going garden workdays. To reserve your spot or for more information please contact Dorine at dor.leisz@gmail.com or (707) 616-5402. The Jefferson Community Center Garden in Eureka is seeking volunteers, including a volunteer to coordinate a regular volunteer days. Produce grown is harvested for the free produce distribution at Jefferson on Saturdays at 9 a.m. The garden and Center are located at 1000 B Street in Eureka. For more information or to volunteer please contact Heidi at heidibenzonelli@yahoo.com. This communally-tended garden has space for both annual crops as well as perennials like fruit trees and berry bushes, including several "food forests." The garden is tended by volunteers and staff of Open Door Community Health Center. Regular workdays happen on Thursdays from 10 a.m. to noon. To learn more about or get involved with this garden please contact garden@opendoorhealth.com or (707) 269-7073 ext. 3158 or 3179. There is space for more gardeners at Loleta Community Garden, located at Loleta Elementary School. Raised bed plots are rented for $25. To reserve a plot or learn more about the garden please contact garden coordinator Dan at sakisocky@sbcglobal.net or call Marina at the Family Resource Center onsite at (707) 733-5239. The garden seeks a paid coordinator to oversee the space and coordinate volunteers. This large garden grows organic food for distribution at two local food pantries and includes space for annual crops and a fruit tree orchard. Several local groups tend plots in the space as well. A monthly stipend of $700 is available for a coordinator, plus free organic produce. The garden is located at 2312 Newburg Road in Fortuna. For more information please contact Steve at spalecki@fortunaacs.com. This garden, managed by Open Door Community Health Center, is part of the larger Fortuna Community Garden Project. It is located on 2312 Newburg Road behind the St. Joseph Parish Activity Center. The space is communally-tended and regular volunteer workdays are on Tuesdays from 11 a.m. to 1 p.m. For more information please contact garden@opendoorhealth.com or (707) 269-7073 ext. 3158 or 3179. If you are looking for space to garden this upcoming season, there are community gardens with room for more participants. We are in the process of updating contact information for 2017 on the Local Garden page of our website, www.northcoastgardens.org, so you may check back or contact Debbie to get in touch with a garden near you - (707) 269-2071 or debbiep@nrsrcaa.org. Gardener_Program/ or call (707) 445-7351. 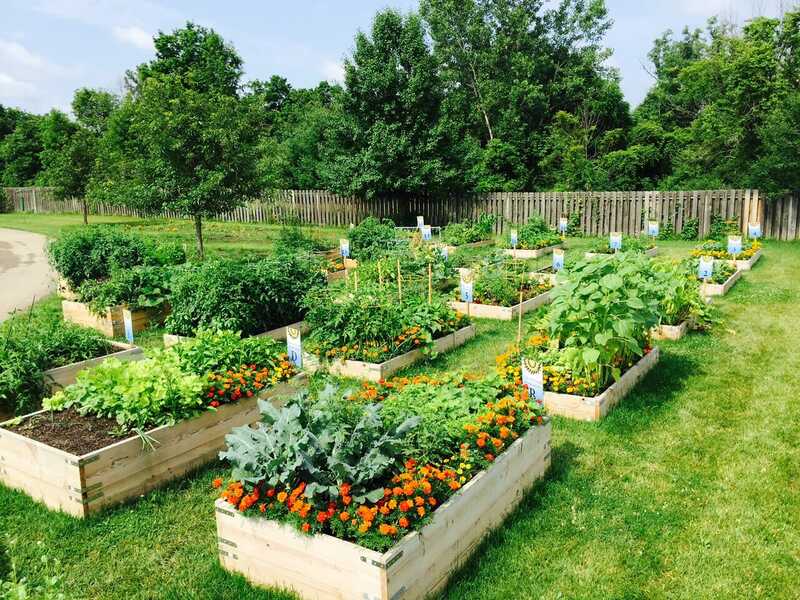 Community gardens take many forms - some have raised beds while others are planted in-ground. Some have plots managed by individuals and families, while others are communally-tended with shared or donated harvests. All of them offer numerous health benefits - nutritious food, physical activity, stress reduction, fresh air, and community building. Local community gardens of North Coast Community Garden Collaborative recently assessed supply needs for the upcoming growing season, and seek support from the community. Items needed include seeds and plant starts for growing food, irrigation supplies, tools including gloves of all sizes, organic fertilizers and amendments, mulches, and lumber for building raised beds. If you are able to donate any of these supplies or money to purchase them please contact Debbie at (707) 269-2071 or debbiep@nrsrcaa.org. Donations are tax deductible through our fiscal sponsor, Redwood Community Action Agency, a local 501(c)(3) non-profit. Checks may be made payable to Redwood Community Action Agency with "NCCGC" in the Memo field, and mailed to RCAA, 904 G Street, Eureka, CA 95501. North Coast Community Garden Collaborative is a support network of and for community gardeners, working to increase access to healthier lifestyle choices, particularly access to nutritious, locally-grown, and culturally appropriate foods. More information can be found on our website, www.northcoastgardens.org, or call (707) 269-2071. - St. Joseph Annual Health, Wellness, and Resource Fair: Saturday February 4 from 10 a.m. to 3 p.m. at Bayshore Mall in Eureka. See article below for more details. - Fruit Tree and Scion Exchange: Saturday February 11 from 11 a.m. to 2 p.m. at Bayside Grange on the corner of Old Arcata Road and Jacoby Creek Road. In just a few years, this has become one of the Humboldt Permaculture Guild's premier annual events, attended by hundreds of community members and many local orchardists and fruit tree experts. Come out for free scion, affordable rootstock, workshops, grafting demonstrations, and more! - Pruning Workshop: Saturday February 18 at 10 a.m. at Dream Quest Demonstration Permaculture Garden in Willow Creek. Jacques Neukom of Neukom Family Farms presents this free workshop, put on by Dream Quest Willow Creek Youth Partnership. The garden is located on Country Club Drive by the Post Office. For more information please call Dream Quest at (530) 629-3564. - Building a Guild Workshop: Saturday February 25 at Dream Quest Demonstration Permaculture Garden in Willow Creek. Dan Mar of High Tide Permaculture presents this free workshop. In Permaculture, a guild refers to a grouping of plants, trees, insects, animals etc. that work together, complimenting each others' health and productivity. For more information about the workshop please contact Dream Quest at (530) 629-3564.
guild@gmail.com, or call (707) 269-2071. On Saturday February 4th the St. Joseph Health, Wellness, and Resource Fair is offering free and low-cost health services and local resources. The Fair is at the Bayshore Mall in Eureka from 10 a.m. until 3 p.m. There will be health and safety information, free and low-cost testing, fun activities, demonstrations, a giant inflatable walk-through colon, and mini-dental fair. The free testing usually includes fingerstick (checks cholesterol, glucose, and anemia), blood pressure, body fat, and bone density. The low-cost blood draw coupons include: Basic Metabolic Panel (tests electrolytes, sugars, and kidney function), Hemogram (tests for anemia), Lipid Panel (tests cholesterol and triglycerides), Prostate Specific Antigen (PSA), and Thyroid Stimulating Hormone. For more information about the event please visit www.stjoehumboldt. Gardening Gazette is a free publication of North Coast Community Garden Collaborative, a support network of and for local community gardeners who work together to improve people's access to healthier lifestyle choices - particularly access to nutritious, locally-grown, and culturally appropriate foods, by creating and nurturing partnerships of community garden groups and their supporters. Learn more at www.northcoastgardens.org or "North Coast Community Garden Collaborative" on Facebook. Copyright (C) 2017 North Coast Community Garden Collaborative All rights reserved.